You know when someone asks you what food you could eat every day? Mine would be potatoes. They are a blank canvas waiting to be created. 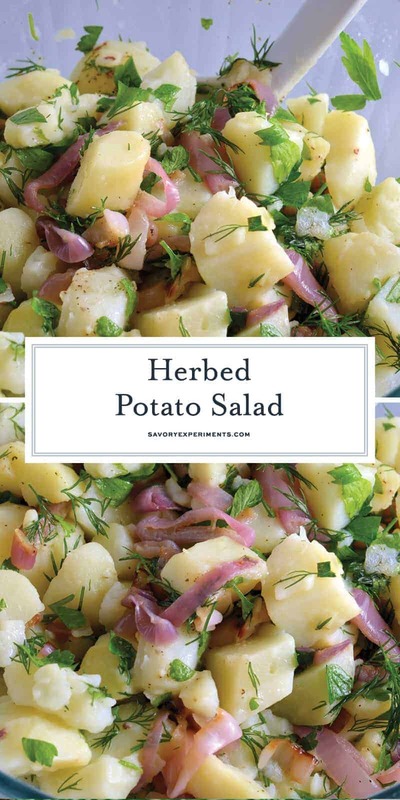 My Herbed Potato Salad doesn’t disappoint in the flavor department! 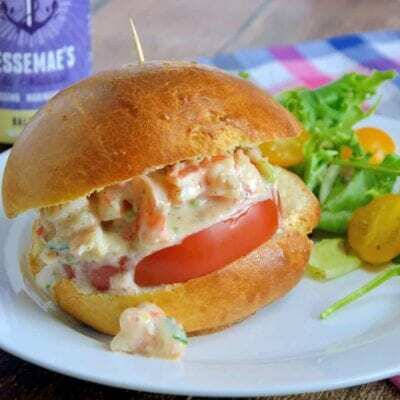 Herbed Potato Salad is mayo-free potato salad recipe that uses fresh herbs and mild white wine vinegar to add tangy flavor. Served chilled at your summer gathering! 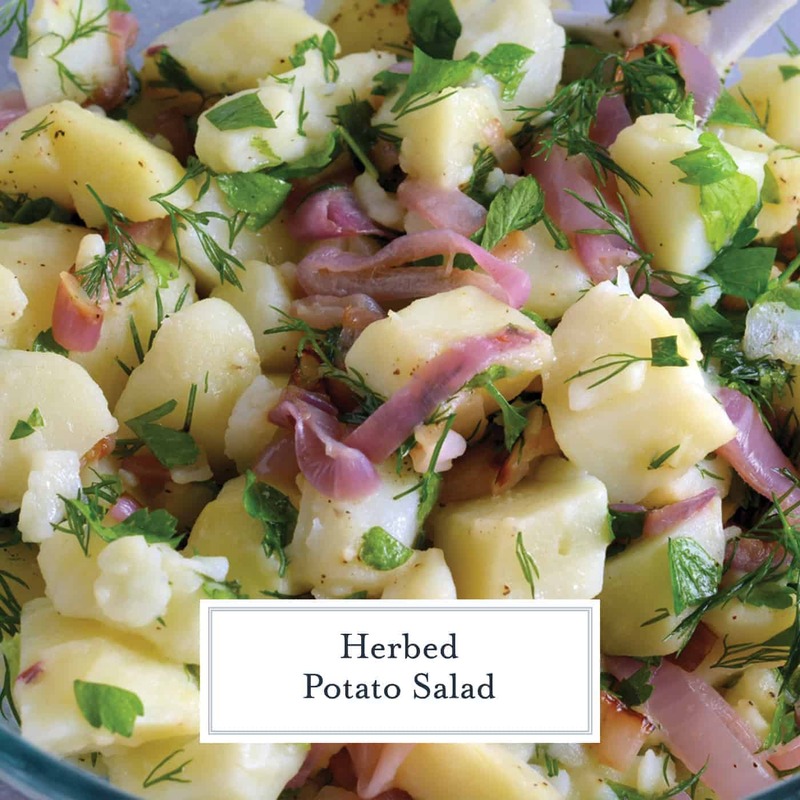 Herbed Potato Salad is one of my favorite go-to recipes. 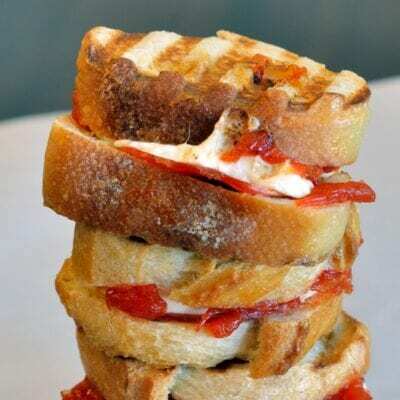 It is simple, fresh and can be served hot or cold. I first made it on a trip to Turks and Caicos along with my Oven BBQ Salmon. Add a leafy green salad and you meal is all set in under 20 minutes. BAM! While there are a lot of things to adore about Herbed Potato Salad, here are my top four points. One. It is a made-ahead dish. 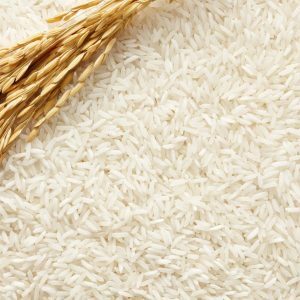 While it doesn’t take much time at all to prepare, it can be (and tastes better) made up to 24 hours in advance. It lets all the flavors marry. Two. 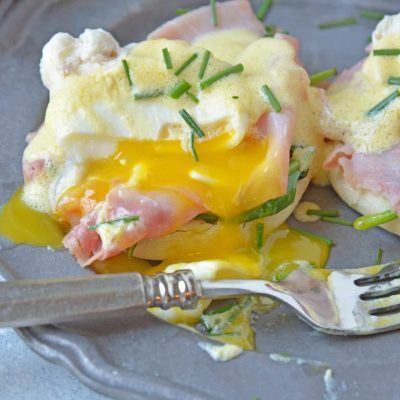 You can use leftover herbs. All the odds and ends in your vegetable crisper, even the stalks, are welcome. 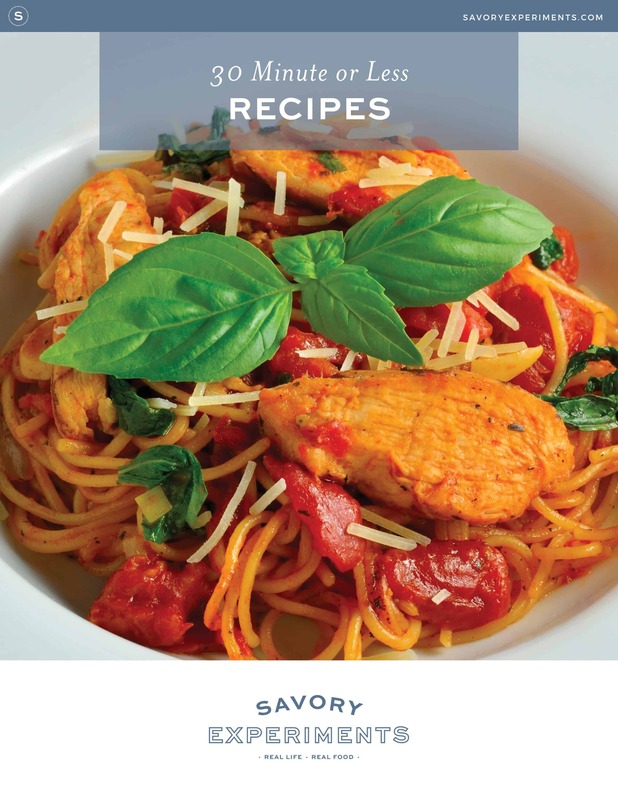 You don’t have to use the exact herbs or amounts in my recipe, just wing it! Three. 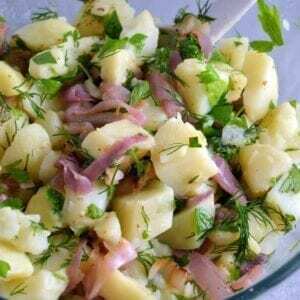 Herbed Potato Salad is healthy! Full of antioxidant rich herbs with a light, tangy dressing, you’ll be hard pressed to find someone who doesn’t like Herbed Potato Salad. Vinegar adds zing while fresh herbs balance out the flavors. Four. I am not a fan of overly mayonnaised dishes and don’t even eat mayo on my sandwiches, so a no-mayo potato salad is right up my alley! So there. Now you’ll be hard pressed to find a reason to not make this easy potato salad recipe. Scrub and boil potatoes until easily pierced with a fork. Rinse under cold water. Half or water into bite-size pieces. 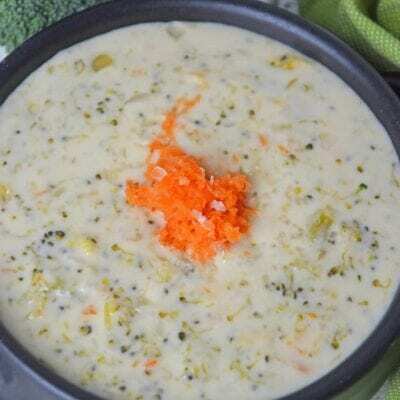 Heat butter in a medium skillet, sauté shallots until soft, add to large mixing bowl along with herbs, salt and potatoes. 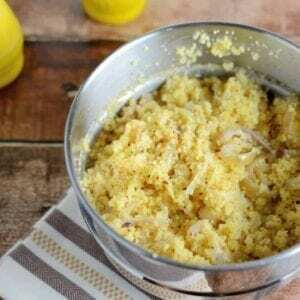 Toss with white wine vinegar. Potatoes can be served cold or hot, drizzle with olive oil before serving. 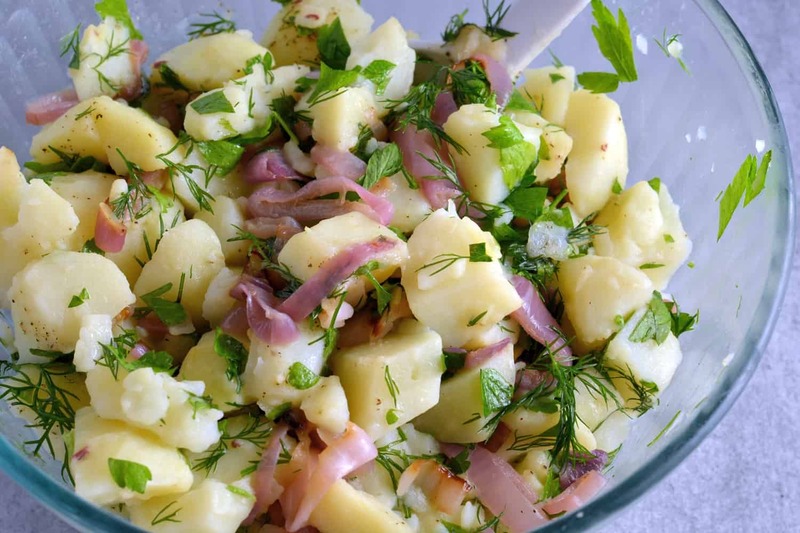 For creamy Herbed Potato Salad, fold in 1 cup of good quality mayonnaise at the end. That looks and sounds absolutely delightful! All those fresh herbs make it looks so fresh and bright.